A reasonably clever amalgamation of concepts from Avatar, Groundhog Day and Inception, Source Code deploys science fiction to counter a terrorism plot, and sneaks in an unlikely romance as a bonus. 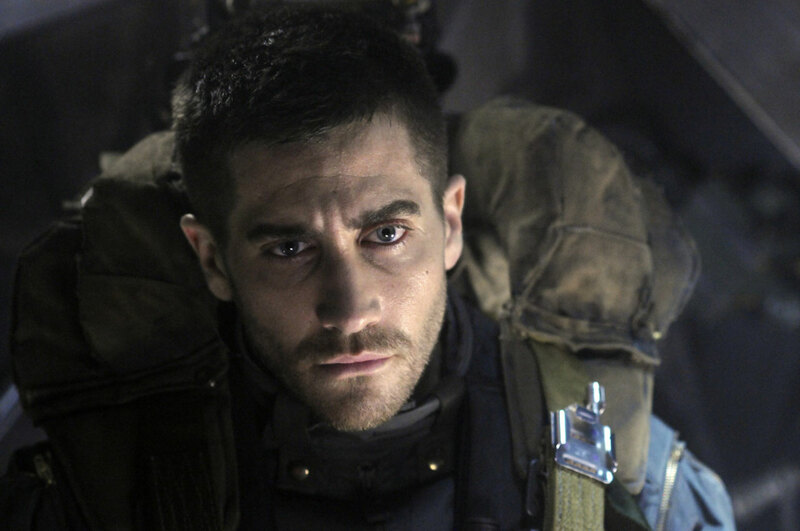 Jake Gyllenhaal and Michelle Monaghan are attractive leads, and Vera Farmiga infuses unexpected emotion into a talking head role. Decorated army helicopter pilot Colter Stevens (Gyllenhaal) is on a most unusual mission: locked into a claustrophobic chamber, he is transported via a program called Source Code to repeatedly re-live the final eight minutes of the life of Sean Fentress, a commuter on a Chicago train that was blown up earlier that morning. Source Code was developed by scientist Dr. Rutledge (Jeffrey Wright), who has almost perfected the neat trick of transporting one brain into another across time and space. From within his chamber Stevens communicates with the outside world via monitor, and his handler in the Source Code control centre is Colleen Goodwin (Farmiga), who must keep Stevens sane and functional as he re-lives the final moments on the train prior to the explosion. Embodying the brain of Sean Fentress, Stevens gets to re-live the same pre-bombing events on the train over and over, and he gets to know the other passengers including fellow-commuter Christina (Monaghan). But the real purpose of the mission is to identify the bomber within the eight available minutes for each of his trips. Another, deadlier radioactive bomb is about to the detonated in Chicago, and the only hope of stopping the carnage is for Stevens to figure who planted the train bomb and how he can be stopped. The journey of Colter Stevens also turns inwards as he begins to discover the reality of his condition, including how he came to be selected for this mission and how he may be able to communicate with his estranged father while helping to stop a mad bomber intent on spreading mayhem. Source Code gets better as it progresses and reveals the depth of its complexities. Gyllenhaal effectively portrays a helicopter pilot dealing with a situation way outside the normal scope of his experience, and having to willingly endure the jarring trauma of a fatal explosion on a recurring basis, not just kicking him out of the Source Code but also killing all the people that he was attempting to interact with. Director Duncan Jones makes excellent use of the limited number of sets, the film practically taking place in just three locations: the chamber, the Source Code control centre and the train. The script by Ben Ripley quickly develops the story into much more than a techno whodunnit, with the internal voyage undertaken by Stevens to discover who and where he is taking on ever increasing prominence. For all its clever ideas and good performances, Source Code is badly let down in its final twist, with a Hollywood happy ending appended clumsily, where a brilliantly poignant earlier denouement was there to be embraced. It's an unfortunately poor, but not unexpected, choice. Source Code is a compact thriller, carrying a hard-drive filled with good ideas. It's not perfect, but it is pleasingly thought-provoking.